For the most part, buying a home today involves some sort of financing. The type of loan that individuals today are most familiar with are purchase money loans, which is a pretty traditional home loan. This financing option comprises part of the purchase price of the home and is secured by the property as well as the borrower’s credit worthiness. In this case, if the buyer stops making payments on the loan, the lender may be able to seize the property and sell the home to recoup the money loaned. In some cases, though, this traditional form of financing is not appropriate, which may present the opportunity for an individual to secure financing through a hard money loan or asset-based financing. This type of financing is only appropriate in certain situations and presents unique risks, as does any loan option. A hard money loan is a cash advance that is often considered a “last resort.” This type of financing does not take an individual’s credit score into account and generally only requires some type of unique collateral. In many cases, the equity in a home is enough to meet the requirements of a hard money loan. Because these loans are not based on the traditional principles of financing, they often cost as much as twice as much as a regular mortgage or financing option, including interest and origination fees. Because of the risk of a hard money loan as well as the cost, this type of financing isn’t right for everyone. However, there are several individuals who can really benefit from hard money lending. Developers and house flippers are among the most frequent borrowers who use hard money lending. By doing so, these individuals are able to secure financing for up to 100% of the purchase price of a property. In some cases, hard money lenders require that borrowers secure their loans with real assets while others have less stringent requirements. What Types of Hard Money Loans Are Available? There are a variety of different types of hard money loans available. 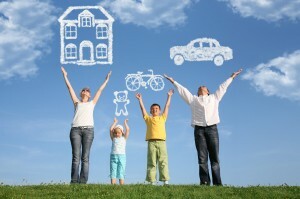 Each loan is designed to meet the needs of individual borrowers. Mortgage refinancing is one of the most common types of hard money loans. A refinance enables a homeowner to pay off one or more loans secured to their property, which is most often completed with a higher principal balance. In some cases, the homeowner refinances without ever receiving the proceeds as the costs of the new loan are simply rolled in to the principal balance of the original loan or the costs of the loan are paid out of the borrower’s pocket. Equity loans are also hard money. This type of loan enables a borrower to take money out borrowed against the equity in the borrower’s current home. Bridge loans are another common type of hard money loan. This type of financing is generally used by sellers who want to purchase a new home before they are able to sell their current home. This type of loan is short term and provides the necessary funds to make the new purchase until the cash is available from their previous home. Who Offers Hard Money Loans? Hard money loans are typically only available through private companies like Ellis Equity and individuals due to the nature of this type of financing. As hard money loans can be seen as somewhat riskier both to the company or individual offering the loan and the individual seeking the loan, it is important to seek out a reliable, trustworthy company. If you’ve researched your options and come up short, a hard money loan may be your best option. This type of financing offers a unique opportunity for lenders and borrowers. For more information, read what hard money loans are.